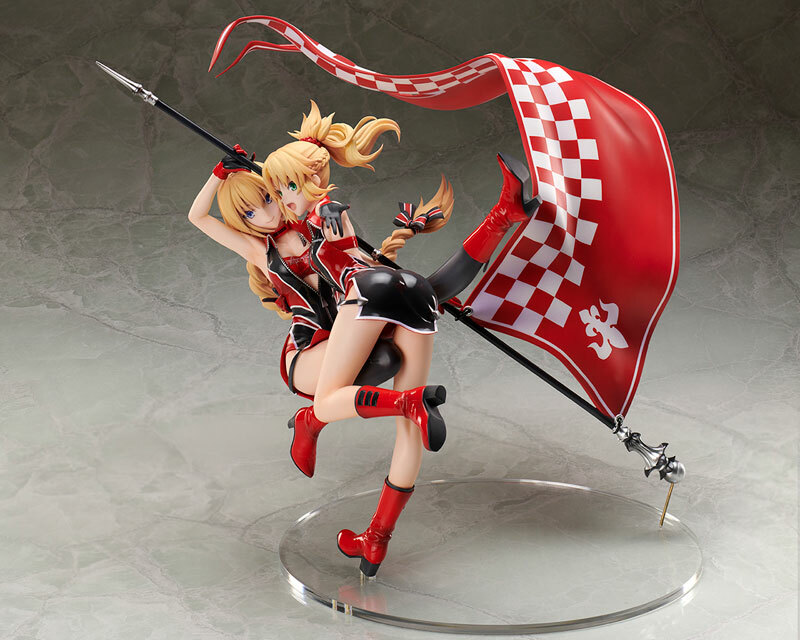 Check out this “2 figures in one” 1/7 scale rendition of Jeanne d’Arc and Mordred from the anime/manga series, Fate/Apocrypha (フェイト/アポクリファ). The figure is scheduled to be released January 2020 for ¥27,295. Fate/Apocrypha (Japanese: フェイト/アポクリファ Hepburn: Feito/Apokurifa) is a Japanese light novel series in Type-Moon's Fate franchise, written by Yūichirō Higashide and illustrated by Ototsugu Konoe. Type-Moon published five volumes from December 2012 to December 2014. A manga adaptation illustrated by Akira Ishida is serialized in Kadokawa Shoten's Comp Ace magazine. An anime television series adaptation by A-1 Pictures premiered in July 2017.